As a business owner or manager, you understand that the health and well-being of your employees are crucial to the success of your company. For example, professional duct cleaning is a great way to improve the quality of your indoor air and reduce allergy issues among your staff. Guelzow Heating & Air Conditioning wants you to know how your employees will benefit from regular duct cleaning services. 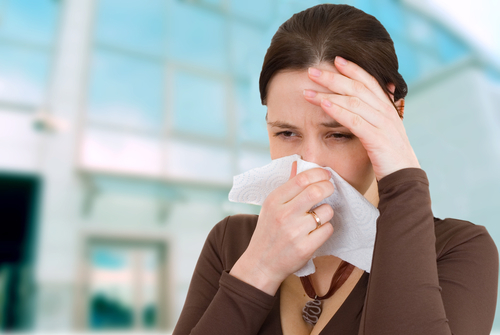 Fewer Allergy Flare-Ups: Over time, the air ducts at your office tend to become a breeding ground for dust, mold, and other allergens. In the absence of professional duct cleaning, your indoor air will become polluted, causing allergy and asthma problems for your employees that may result in them missing work. When you hire the experts to clear out your air ducts, your staff will enjoy easier breathing and work more efficiently. Decreased Illness Rate: Harmful bacteria and viruses may also build up in your air ducts over time. From influenza to sinus infections, illnesses tend to spread rapidly around the office, resulting in call-ins and reduced productivity. Professional duct cleaning will safely remove bacteria and viruses from your indoor air, keeping your employees healthy on the job. Better Spirits: Without the threat of allergy flare-ups and airborne illnesses, your staff members’ moods will improve in the workplace. Clean air ducts make for a more pleasant atmosphere at the office, removing stale and otherwise unpleasant odors. Your employees will simply be in better spirits when they get to breathe fresh indoor air. The next time you need quick, affordable, and effective duct cleaning services for your home or business, allow Guelzow Heating & Air Conditioning to noticeably improve the quality of your indoor air. Give this heating contractor a call at (715) 423-1086 today to schedule furnace installations or AC repairs. Feel free to visit them online to learn more about their many HVAC services.